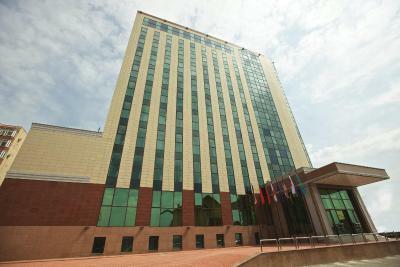 Lock in a great price for Kazzhol Hotel Astana – rated 8.4 by recent guests! Young well-trained and friendly staff. A warm welcome and very good service in the bar and restaurant. The conference and training facilities were excellent. The free wifi was very fast. Well organized hotel, good view from our room, good dinner at restaurant, very clean and tidy. The hotel is really nice, the staff is friendly, kind and always ready to help. The rooms are spacious and clean, WiFi works well. It is warm and cozy. I enjoyed my stay here. Courteous very helpful multilingual staff. Excellent facilities. After the EXPO2017 in Astana, hotels in the city center are more expensive than usual. So we chose this hotel, which was not in the city center. Very friendly and helpful staff here, they helped us call for taxi and made early check-in. The room was big and clean, and provided a pretty big bottle of water everyday. My room had a very good view, which could see the Khazret Sultan Mosque and the city. We had lunch in the restaurant of the hotel. Really delicious food of Uzbekistan style. The most important was, the menu has Chinese, that was really good for us. The overall package was great: a very new, modern hotel, a hard-working and friendly staff, a nice restaurant. All in one. I will choose that hotel again during my next staying in Astana. While small, this hotel does everything well. The rooms are modern and spacious, the breakfast is decent and the WiFi works well. There is also a reasonably sized swimming pool. Great hotel. Little bit far away from center but you can call Taxi/Uber for few KZT. Staff was good and helpful. Breakfast was very good. We paid for extra bed and it was very comfortable bed. It wasn't any cheap folding bed. Расположение удобное, НО, метров 150 вглубине от основной дороги и в данное время года, когда тает снег, текут реки воды по дороге на подходе к отелю. Но если на авто, то не проблема, так как возле отеля высокий пандус. В остальном все здорово. Очень красивый интерьер внутри, обстановка в номерах очень красивая и чистая. 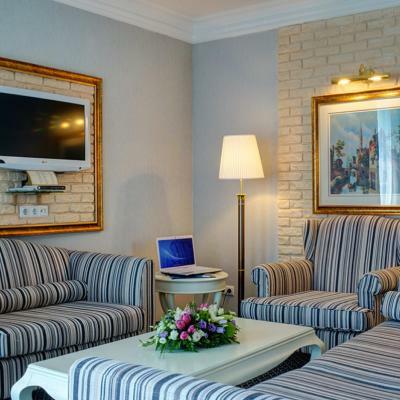 Kazzhol Hotel Astana This rating is a reflection of how the property compares to the industry standard when it comes to price, facilities and services available. It's based on a self-evaluation by the property. Use this rating to help choose your stay! 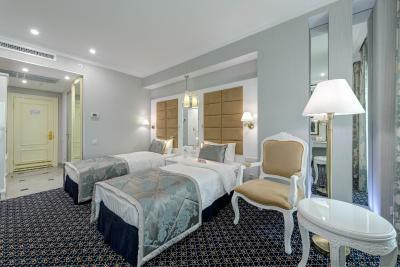 Each room at the hotel includes an antique-style interior with a mini-bar and carpeted floors. Slippers and a hairdryer can be found in the bathrooms. Fergana Restaurant, decorated in a Uzbek style with traditional wall patterns, serves Uzbek cuisine. Allur, a 24-hour lounge bar also offers various meals and drinks. Guests can relax in the swimming pool with a phytobar. There is also a gym, Russian and Finnish sauna, hot tub and massage services. The Palace of Peace and Reconciliation is 20 minutes’ walk from Kazzhol Hotel Astana, and it is 20 minutes’ drive from Astana Train Station. A transfer to Astana Airport (12 mi) is offered on request. 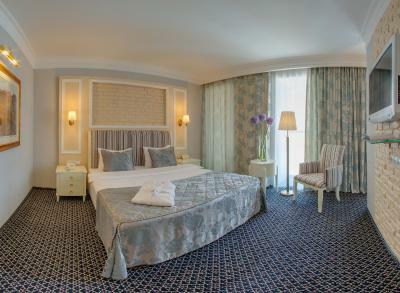 When would you like to stay at Kazzhol Hotel Astana? Spacious room with air conditioning, a flat-screen TV and a mini-bar. This room features extra space and a living area. 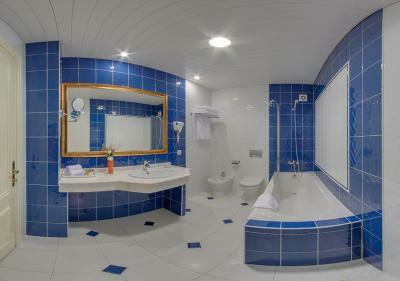 Spacious suite with air conditioning, a flat-screen TV and a mini-bar. This suite features extra space. This suite features a separate living room. House Rules Kazzhol Hotel Astana takes special requests – add in the next step! All older children or adults are charged KZT 5700 per person per night for extra beds. Kazzhol Hotel Astana accepts these cards and reserves the right to temporarily hold an amount prior to arrival. Kindness of the staff. Cleaning of the rooms. While the hotel is a little out of the centre, Astana is a place where you need to travel by car everywhere anyway. It was very hot at the room. Even after opening windows. The temperature was +30,5 degrees. The enter to the hotel is very inconvenient especially if you travel with a baggage. The breakfast buffet was completly empty after an hour and was not refilled. The breakfast-service was unsufficent. 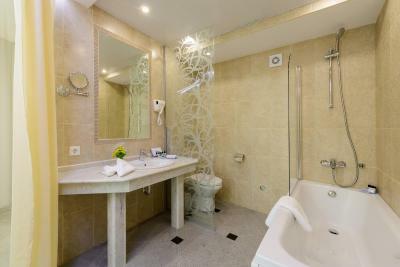 The rooms do not have a bathrobe for the shower and other items for the shower. The staff wanted to cheat about the price of room, I had a printout from my booking, I provided it as evidence. They wanted to take more money from me. And so, the number is normal. If the price were a little less I would rate it well. But when I pay more money, I have more waiting from hotel. The location is very bad if you are a tourist. It is not cheaper and not the center. The breakfast is acceptable (not very good)... BUT...The main problem of the hotel is that there is no access for people with disabilities. The stairs at the entrance are really high which makes it difficult to get in carrying a big luggage and impossible in a wheelchair. Water in jacuzzi was cold all the time. Swimming pool can be crowded, as hotel makes swimming lessons for kids in the weekends. The hotel's location is poor. Off the beaten-track and hidden from view in a rather dull suburban area. The food was not to my taste - I would have liked to see a greater variety of western dishes on the menu. Maybe breakfast time can be longer.